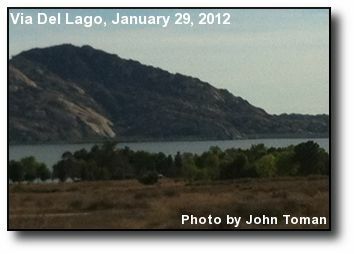 Lake View: Some high clouds color the sky over Lake Perris. Photo courtesy of John Toman. 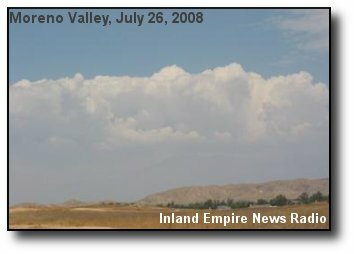 Summer Clouds: Thunderclouds float above Mt. 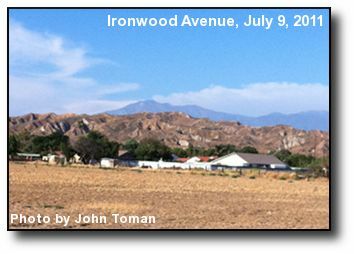 San Gorgonio, with the badlands in the foreground. Photo courtesy of John Toman. 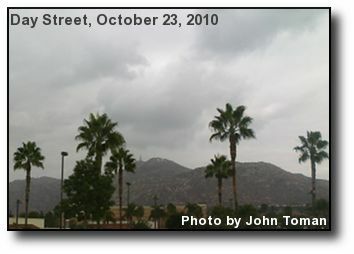 Cloudy Day: A canopy of clouds above Box Springs Mountain, framed with local palms. Photo courtesy of John Toman. 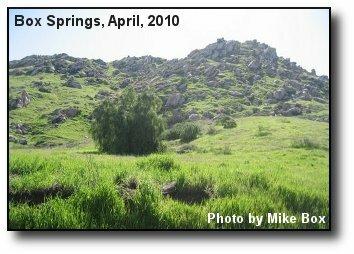 Spring Foliage: Green grass and a lone tree on Box Springs Mountain. Photo courtesy of Mike Box. 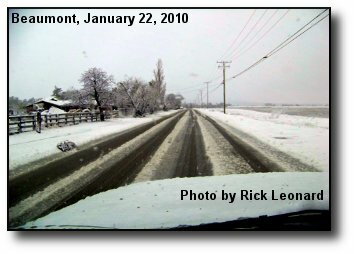 Beaumont Snow: A road in the pass area after January snow. Photo courtesy of Rick Leonard. 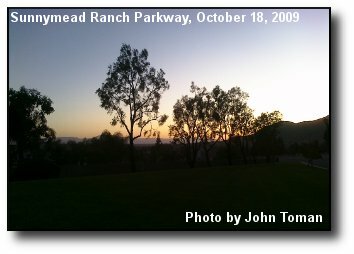 Sunnymead Sunset: Light fades looking west from the heights of Moreno Valley at sunset. Photo courtesy of John Toman. 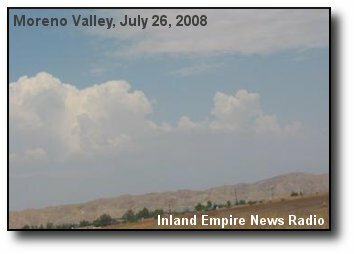 Mountain Thunderheads: Thunderheads boil up over the San Bernardino Mountains. 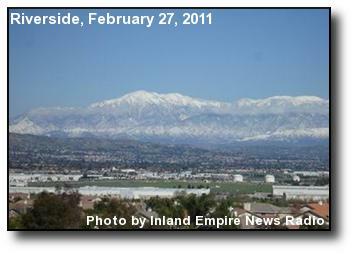 Photo courtesy of Inland Empire News Radio. 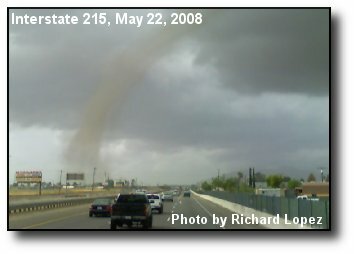 Freeway Twister: A tornado near March Air Reserve Base, as seen from the Interstate 215 Freeway. Photo courtesy of Richard Lopez. 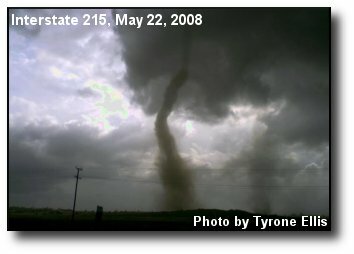 Twin Tornadoes: Multiple tornados spawned from a severe thunderstorm that hit near March Air Reserve Base. Photo courtesy of Tyrone Ellis. 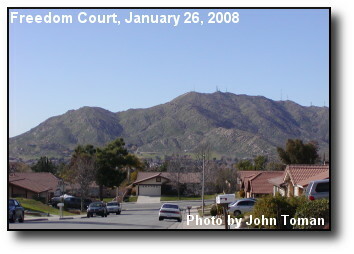 Winter Green: Box Springs Mountain turns a shade of green, as seen from Sunnymead Ranch. 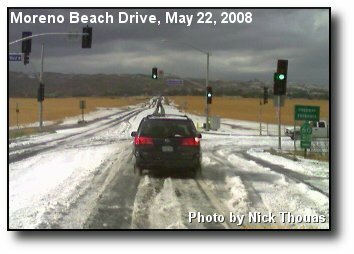 Photo courtesy of WeatherCurrents. 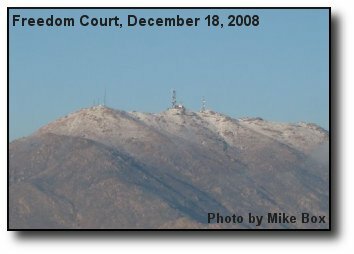 Autumn Snow: White-capped Mt. 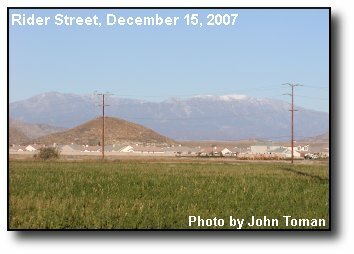 San Gorgonio stands above the Lake Perris dam. Photo courtesy of John Toman.